The study of China’s management model is not only important in terms of its essential description but also in the context of the search for optimal management models. Reflection on Chinese management practice is informed by its uniqueness, which reflects national identity, especially as manifested in traditional texts from Confucius, Lao Tzu, Sun Tzu until Mao Zedong. 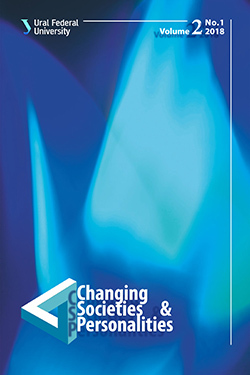 The relevance of this study is also connected with the interest of Chinese people themselves in pragmatising the intellectual tradition in their search for axiological bases of rapid contemporary social and economic change. One of the most important ideological doctrines of the Asian society underlying the practice of governance is Confucianism. The article analyses its main theses and their transformation during the centuries-old history of China. The phenomenon of Neo-Confucianism is separately understood as a source of spiritual traditions, socio-political attitudes and psychological stereotypes of the Chinese people. The purpose of the article is to describe the system of value categories of Confucianism and Neo-Confucianism that influence the folding and development of modern China’s management model. Larisa Piskunova is Candidate of Philosophy, Professor of Ural Federal University. She teaches and conducts research in cross-cultural management, management anthropology and cultural anthropology. Lu Jia Jin (People Republic of China) is post-graduate student of Ural Federal University, Yekaterinburg, Russia. She conducts research in cross-cultural management and international management. Hall, E. (1977). Beyond Culture. New York: Anchor Books. Hofstede, G. (1984). Culture’s Consequences: Comparing Values, Behaviors, Institutions and Organizations Across Nations. SAGE Publications. Jie, Tang, and Ward, A. (2004). The Changing Face of Chinese Management. New York: Routledge. Kobzev, A. (2002). Filosofia kitaiskogo neokonfutsianstva [Philosophy of Chinese Neo-Confucianism]. Moscow: Vostochnaya literatura. Malyavin, V. (2005). Kitai upravliaemyi: staryi dobryi menedzhment [Manageable China: the time-honored management]. Moscow: Evropa. Ou, Yangyi (2016). 和谐与冲突—儒学与现代管理 [Harmony and Conflict: Confucianism and Modern Management]. Beijing: China Renmin. Perelomov, L. (2000). Konfutsii: Lun’ Iui [Confucius: “The Analects”]. Moscow: Vostochnaya literatura. Trompenaars, F., and Woolliams, P. (2004). Business Across Cultures. New York: John Wiley & Sons. Tu, Weiming (1979). Humanity and Self-Cultivation: Essays in Confucian Thought. Boston, MA: Cheng & Tsui Co.
Yang, C. K. (1951) “Introduction”, To Max Weber. Religion of China: Confucianism and Taoism (pp. xiii–xliii). New York: Macmillan. Yi, Zhongtian (2009). 先秦诸子百家争鸣 [Pre-Qin scholars: contention of different schools of philosophy in ancient China]. Shanghai: Literature and Art Publishing House. Yu, Dan (2006). 于丹论语心得 [My experience with the “Analects”]. Beijing: Zhonghua Book Company.